Surprisingly, Christmas shopping makes me nervous. I feel like every year after the holidays I promise myself to keep a gift idea list all year long so that I don't panic when December comes. But no matter what, on the last week of November second week of December, an adrenalin rush pushes me to madly browse through the Internet to find the perfect gift to send to my family (#expatlife). It is kind of ironic, knowing that I usually go visit my favorite Portland shop owners/friends whenever I get a chance. 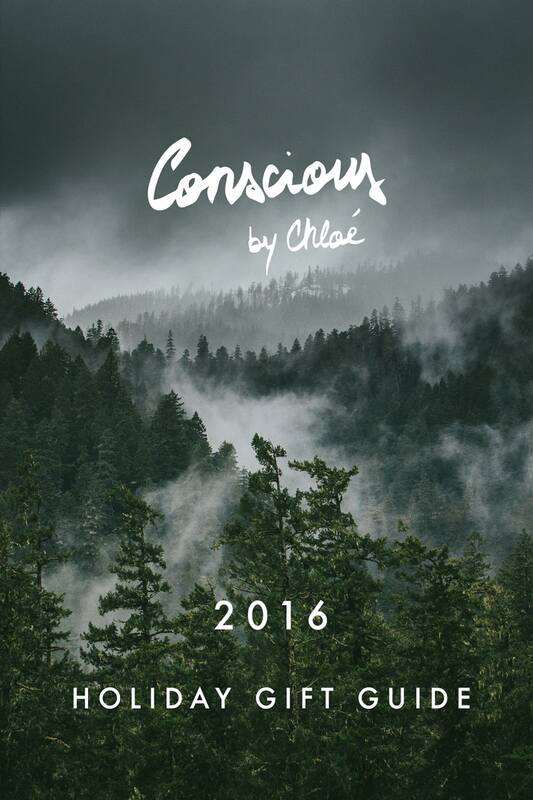 But this year, I killed two birds with one stone by working on the Conscious by Chloé Shop update. While I found a multitude of responsibly made products on the various platforms I visited, I decided to only publish a curated selection of the shop and kept the rest in my back pocket as I knew it would be useful some day. And this day has come! I selected these gifts for their aesthetics, their usefulness, their makers and their country of origin. I hope you'll find what you're looking for here but also highly recommend you to visit your local small shops to find the perfect hand- and locally made gifts for your loved ones.